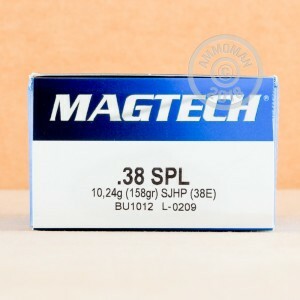 This .38 Special ammunition from Magtech is suitable for both target shooting and self-defense in .38 Special and .357 Magnum revolvers. 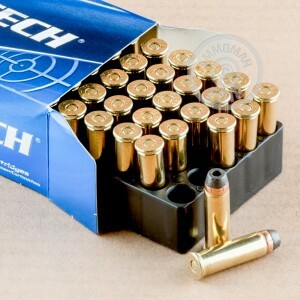 Each cartridge in this 1,000 round case fires a 158 grain semi-jacketed hollow point bullet at about 807 feet per second. This is a standard pressure load that will work great even in old or compact revolvers. 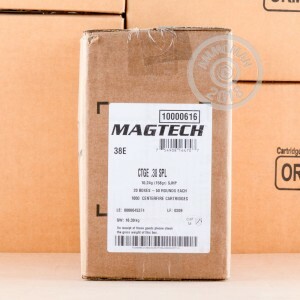 Magtech ammunition is loaded in Brazil by CBC, Latin America's leading defense contractor. CBC makes all of its own ammo components and uses non-corrosive Boxer primers and brass cases. AmmoMan.com is the best place to get ammo by the case! Order this 1,000 round case or any other items totaling $99 or more to qualify for free shipping.